At Flash Memory Summit 2016, Seagate showed off a 60TB SSD. 60TB is approximately four times the size of last years 15TB drive from Samsung. While 15TB seemed huge in 2015, in 2016, it is as “diminutive” as a $10,000 device can be. Perhaps the most interesting implication of this drive is that SSDs are now leapfrogging densities of hard drives. 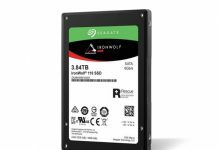 To fit that much raw NAND capacity in a drive, Seagate is using a 3.5″ form factor. 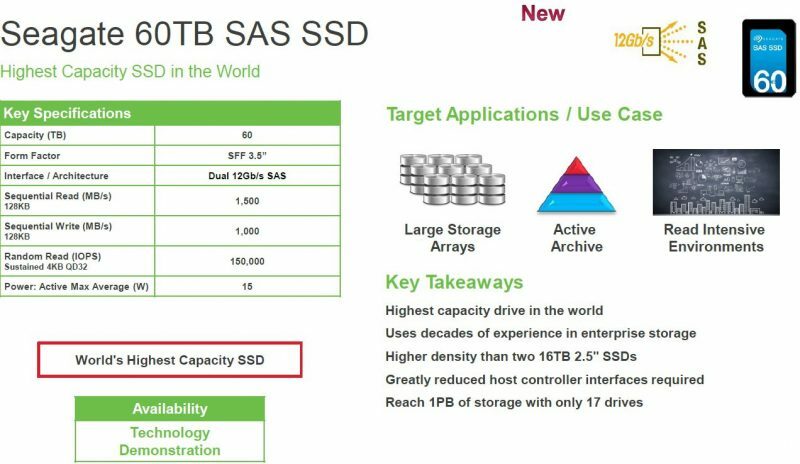 With capacities reaching 60TB we start to see SATA III 6.0gbps and SAS3 12gbps interfaces reach their limit. 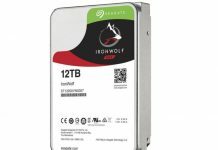 While Seagate is using a 12gbps SAS3 interface for the 60TB SSD given the raw capacity a full disk read or write would take some considerable time. Even sustaining 550MB/s, a common speed on SAS2 and SATA III 6.0gbps ports, it would take over 1.25 days to write the entire drive capacity. On the SAS3 interface that figure is halved assuming consistent transfer. 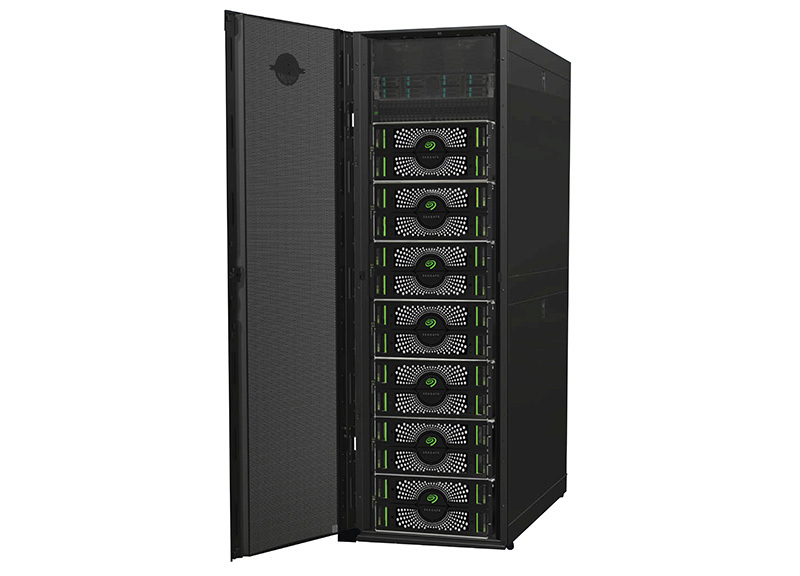 For applications such as RAID rebuilds, the increased size without increased media and interface speeds starts running risks of double-disk failures. Although billed as a technology demonstration for Flash Memory Summit 2016, we cannot help but wonder how quickly these could turn into real product assuming a large customer was buying. Seagate does note the density of hitting 1PB of storage in 17x 3.5″ drives. We have seen 12x 3.5″ 1U enclosures by several vendors and companies like Supermicro have 90-bay SAS3 JBOD 4U enclosures. Using a 12-bay 1U one could potentially hit 720TB in a 1U while using a 90-bay JBOD it will be possible to hit 5.4PB in a 4U chassis. This kind of storage density is how we see 10:1 (or higher) storage footprint consolidation ratios. It is unlikely we will see a shipping product in the next few months. Perhaps a large customer will have the desire to take these drives into production. Looking at our Flash Memory Summit 2016 key trends, this shows a commitment to SAS and also innovation in terms of form factors.